Wash day | January 18! At this moment I’m 19 weeks post and I am happy with my new growth. I can still manage. 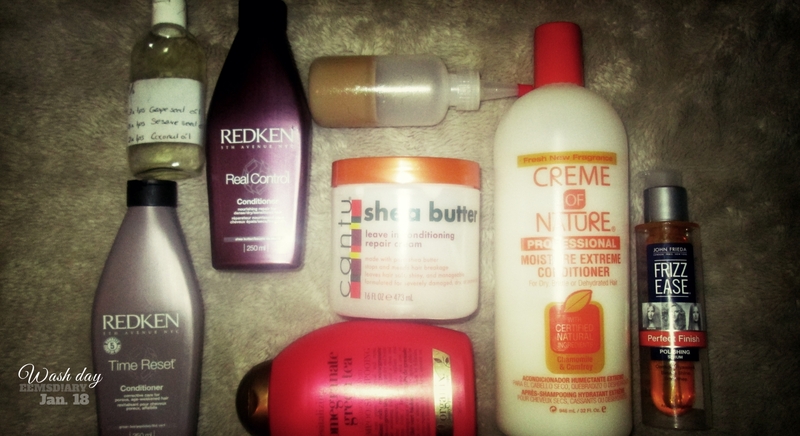 I said that I will relax my hair when I reach 20 weeks post, but I first want to do a protein treatment to prep my hair for a relaxer. 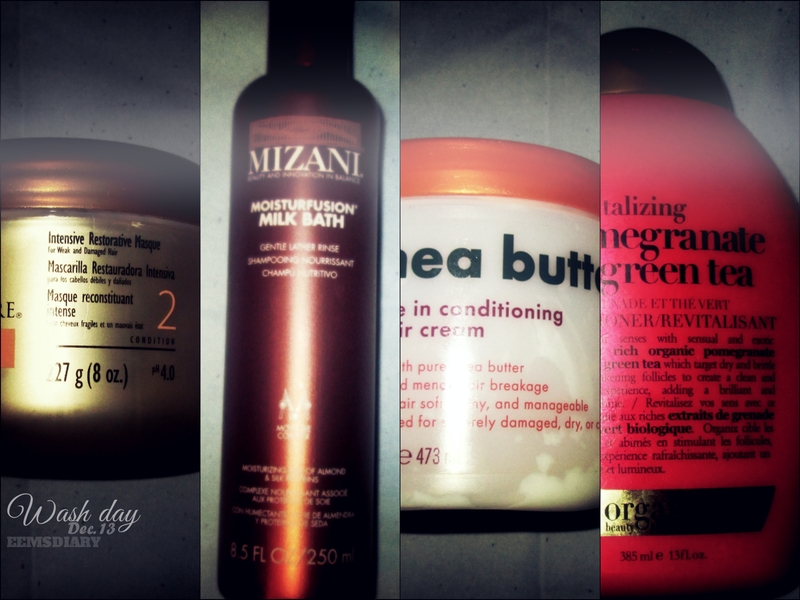 During the week my nape suffered from dryness. I would moisturize at night, but in the morning it was still dry – I need to find a remedy for my nape -. For the treatment I used the oil mix (Jamaican Black Castor Oil x Coconut Oil) for the scalp and (Grape seed x Sesame seed x Coconut oil) for the hair. Before applying the oils I warmed it up with hot water. 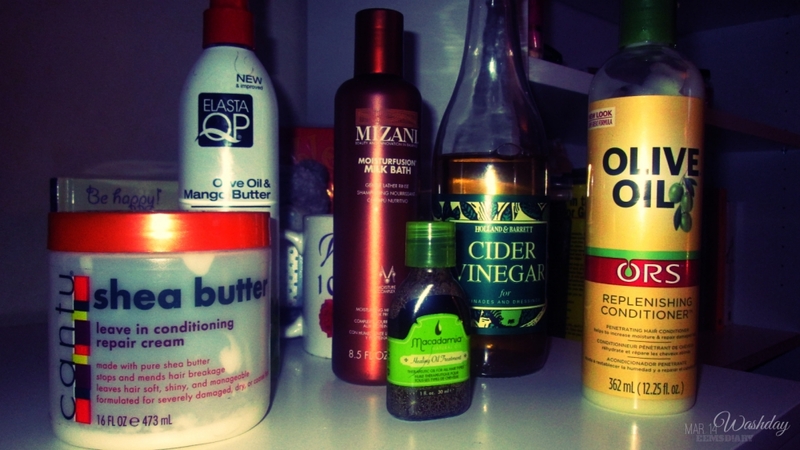 – I never use a microwave to warm up oils – for an hour I let the oils sit on my hair.